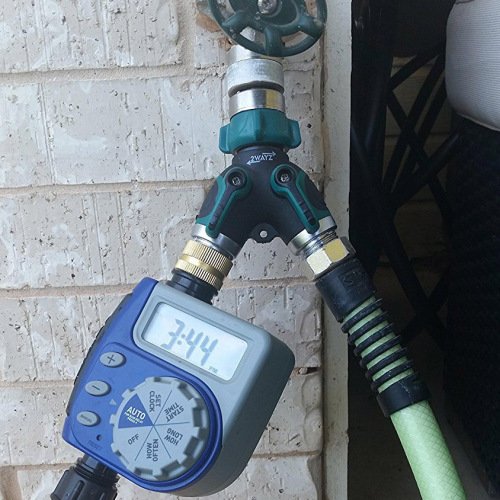 Backyard 2 way hose splitter with valve. Inlet Connector: 3/4" swivel female connector,aluminium body with copper treatment,TPR soft coat outside. 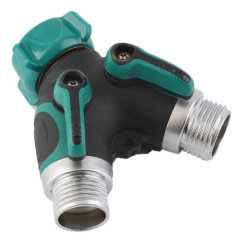 Outlet Connector: 2pcs 3/4" male outlet connector, zinc material with chromate treatment. Handle: 44mm long handle,easy to be turned left/right to control valve on/off. Body: Plastic ABS body with overmold soft color,good hand feel. Rubber O ring make it leak-free. 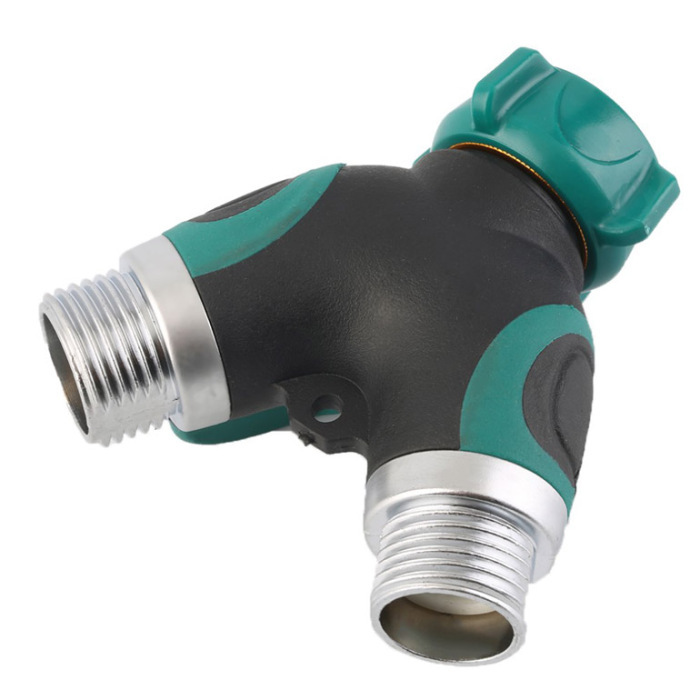 The aluminium inlet connector is with copper treatment at surface for proventing from rust, and TPR soft coat again for good hand feel. 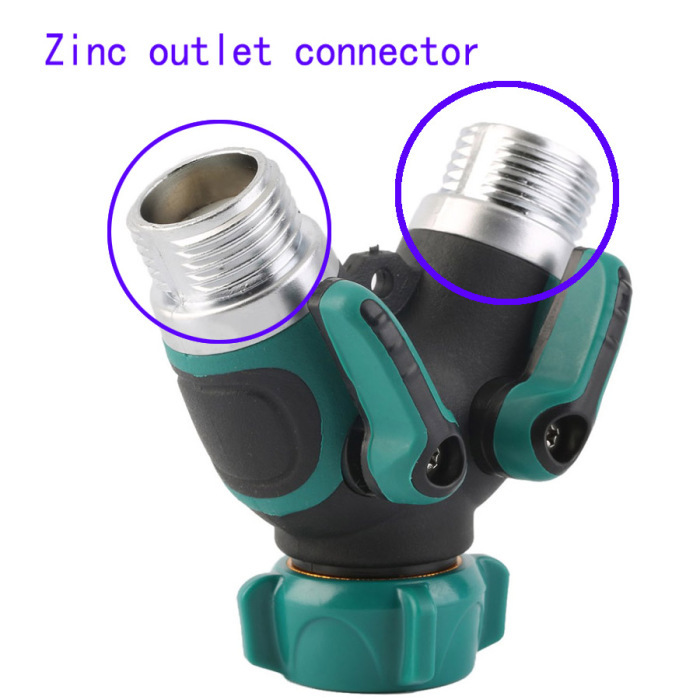 The zinc outlet connector is chromate treatment on surface for anti-rust for long life. The long soft handle is ideal to turn water on/off,special for old man. 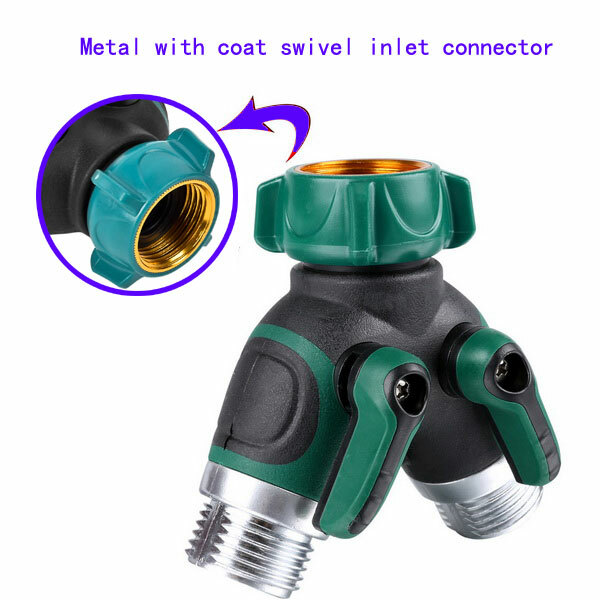 Metal 2-way water faucet splitter is TPR overmold soft coat on whole body for good hand feel. 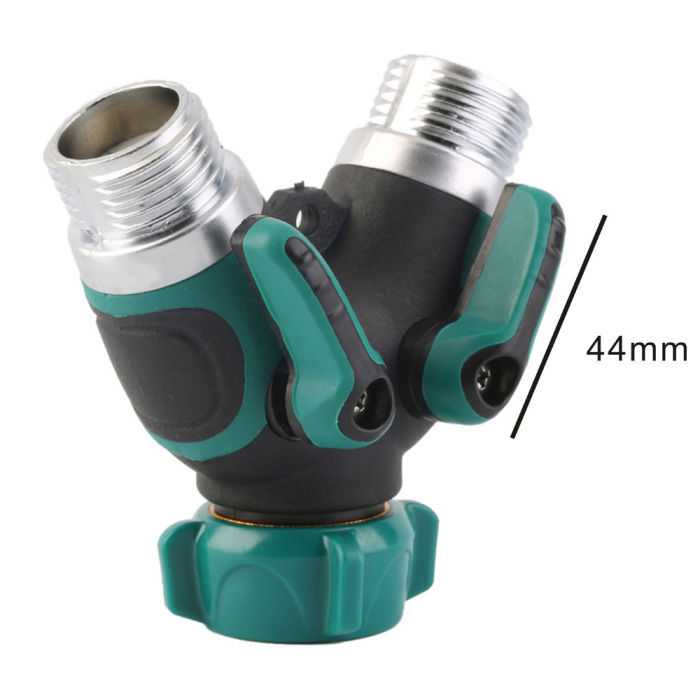 This Y garden hose pipe connector is easy to installed,can be split one faucet to two hose pipe,ideal to solve the problem that one faucet water two different place at the same time. 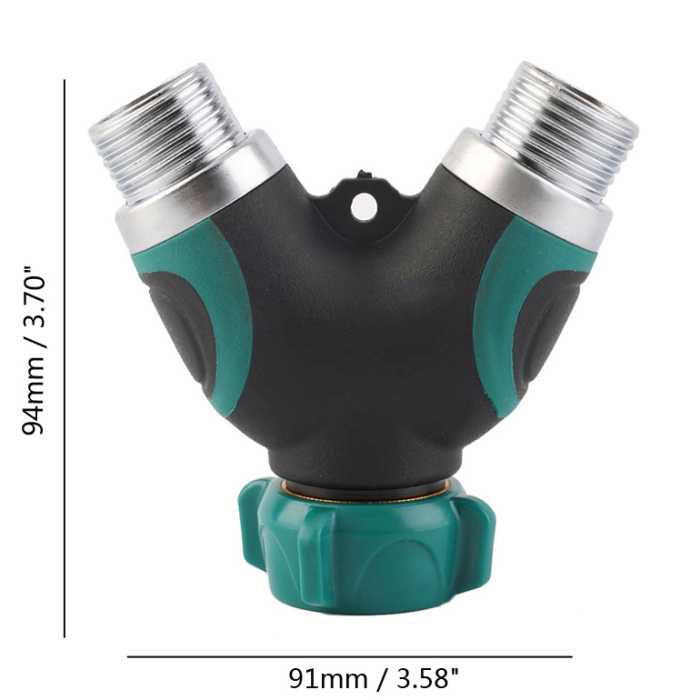 This connector come with a perfect rubber ring that provide 100% reliable preventing leak. 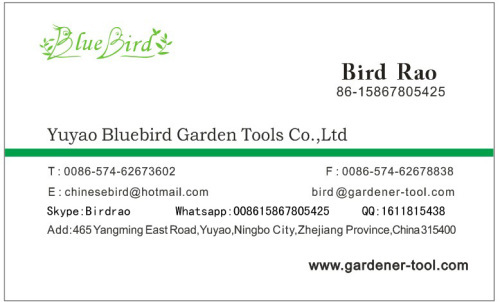 It is ideal to use at home because of beautiful and high quality,can be used for long life. 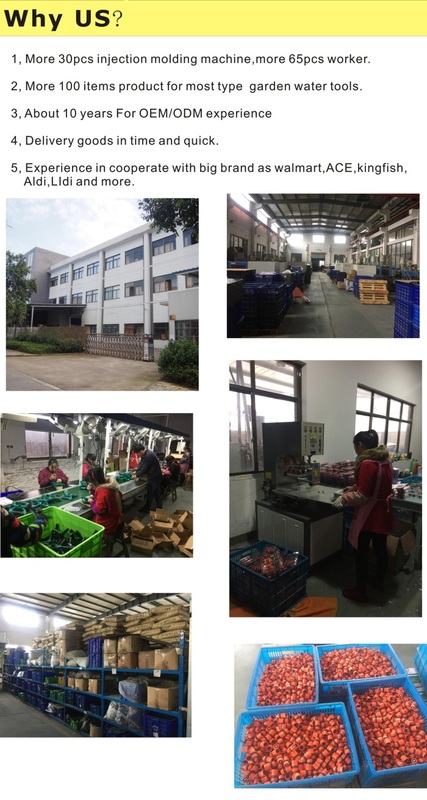 A: Yes.To tell us your mind,our engineer can design it for your confirmation.And we take this cooperation with partner many times. A: Yes.Please check us about the color and package.